Mustard Seed Kids is run by Christian educator Margaret Pritchard Houston. Margaret is a former primary school teacher and now serves as the Children's Mission Enabler for the Diocese of St Albans, and was formerly Families Pastor at St. George’s Church in west London, where she worked with children and young people from babies to teenagers. She still helps with their Sunday School. Every Mustard Seed Kids product is one she would be happy to have in her own ministry. She has written about children’s ministry for Childrenswork Magazine, the Diocese of London, and SPCK, produced resources for The Children’s Society, and led workshops on storytelling and All-Age worship. She is the author of There is a Season: celebrating the church year with children, published by SPCK. 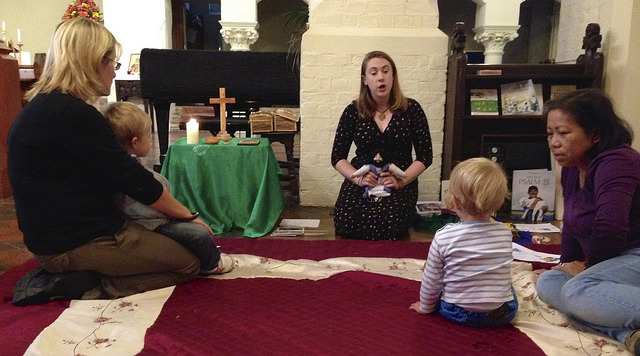 To book a Beulah Land Storytelling workshop, or an All-Age worship workshop, email her.